 Chandler's Roofing has maintained, repaired and re-roofed home owners association and condominium properties all across the Los Angeles, Orange County and Coachella Valley regions since 1942. As a proud member of the California Association of Community Members (CACM), we cultivate long-standing relationships with the communities and property management companies in which we service and retain an extensive list of HOA references to prove it. Throughout the years we have established a very professional and systematic approach to managing our HOA clients' roofing assets. A roofing system, in particular an association's roof, is a long-term investment and thus should be managed accordingly. More often than not, a Property Management team has provided the HOA Board members with a long term evaluation and reserve study, which forecasts the estimated maintenance, repair and replacement costs down the road for the association. The longer Chandler's Roofing can prevent unnecessary repairs and costs, the more reserves can be earmarked for other association needs such as painting, landscaping, and other property upgrades. This is why Chandler's Roofing takes a strategic, yet personal approach to every HOA and property management partner we deal with. No two HOA's are the same, each carry a unique set of requirements and needs. From start to finish you can expect a professional interaction with our company and the highest quality workmanship in the industry. Whether it is a roof inspection, roof maintenance, roofing repair, or full roof replacement with solar, rain gutters and skylights, we have your HOA's longterm interest in mind.